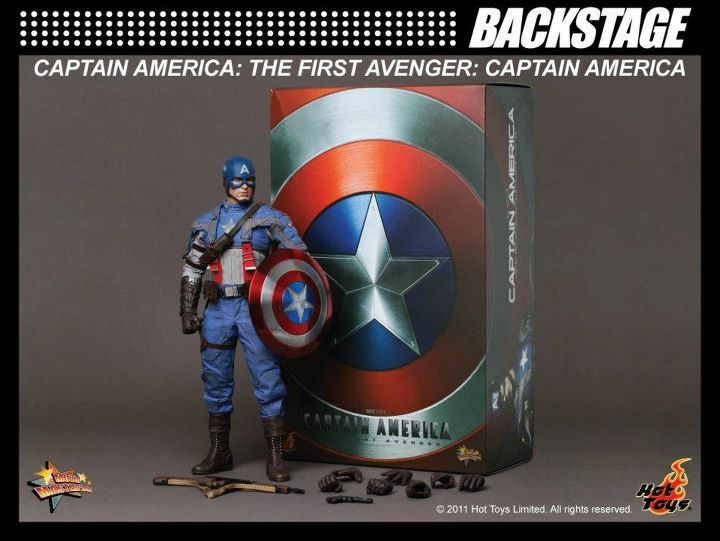 The Hot Toys Facebook Page has posted a new photo of their Movie Masterpiece Captain America: The First Avenger figure. 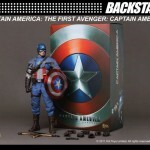 The new photo shows the packaging, as well as a new shot of the finished figure. Also, they have announced that the figure will be gin arriving in Hong Kong this week. so expect retailers to begin stocking these soon. Very tempting, another beautiful sculpt from hot toys. This really is awesome. I mean the shield alone is fantastic. And I do prefer this type of suit over the Avengers suit. Ahh man why do these have to be so expensive. Well I guess if MU ever dies I will start on these. Awesome figure, probably in the $150-220 range, nicely made and sculpted, and the shield he has is beautifully done. I would love him next to my hot toys iron man, but I'll be damned if I'm paying that much. ebay it is for a seller with a nr copy that goes for half is what I'd like to find lol. good news! I can't wait to add this to my hot toys collection. The wait for Cap and Superman has been a long one. If you ever bought one of these...you'd never be able to go back to marvel universe. At least I couldn't. These cost like 10x as much as a MU figure...but they're 10x the quality, detail, and articulation. I basically only collect transformers and hot toys now...with the occassional DCUC (and finally the upcoming Marvel Legends) figure thrown in. I agree to a certain extent although price and space are big factors to not do this. Also having a dio of MU with related characters is a lot easy then setting up a Hot Toys dio with multiple Hot Toys. I'll pick this up I Think. I have always wanted a Captain America just not sure to wait for the Modern version instead. I want a Thor too. These will be my First 2 Marvel figures if I do get them. I pre-ordered this figure. It just looks that good. Anyone see the complaints from a website in a foreign language about how the costume is badly sewn and the eyes arent that well down? Made me glad that I didnt pre-order this. It was posted on this site or somewhere else. I gotta find it and post that here.